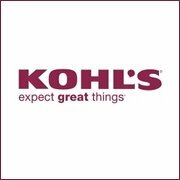 If you missed yesterday’s 20% off code for Kohls.com, don’t worry, there is still a 15% off code that can stack with the free shipping code. Just use code SPRING15 to get 15% off any purchase and SHIP4FREE for free shipping on your online purchases. You can get 20% off any online order of $100 or more with code SPRING20. 15 and 20% off offers expire 5/3/11. If you will be shopping instore this week, be sure to print THIS COUPON for 15% off of any purchase or 20% off of purchases of $100 or more.